The industrial bathroom look is one of the most exciting aesthetics out there right now. Featuring exposed metalwork, tin baths, weathered wood tops and much more, come with us as we explore this stylish new approach to home bathrooms and check out some of Drench’s most popular industrial bathroom units. 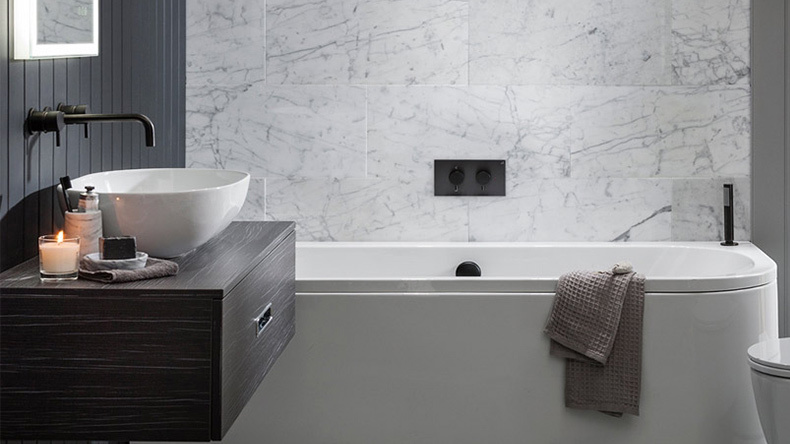 Deciding on the perfect coloured bath for a contemporary bathroom can be a real challenge. Whether you’re looking for an elegant copper bath, a subtle black bath or a vibrant bright pink tub, Drench has you covered with this selection of the most stunning coloured baths. Making a small bathroom feel big really is one of the most significant challenges faced by the DIY bathroom renovator. So, everyone here at Drench has put their heads together, combining our decades of collective insights to share with you in this exclusive bumper ideas article. Time to get creative! If you've seen something that you simply must have on our Instagram and want to find it ASAP (join the queue!) - look no further than this handy collection of the most luxurious and inspirational bathroom furniture you'll ever be lucky enough to lay eyes on! If you want to give your bathroom an instant update, look no further than a dual fuel towel rail. To the untrained eye these might just look like normal heated towel rails, but they signify someone who knows what they’re doing when it comes to their bathroom. Read on to find out why and how you should be investing in one of these bathroom heating essentials. Wall mounted taps create a beautifully understated focal point, look effortlessly classy and make cleaning around your basin or bath a hell of a lot easier! They can be purchased in various designs, looking fantastic in a fuss-free and sophisticated minimalist bathroom or adding some extra va-va-voom to something more traditional. No idea where to begin? Here’s our guide to the best wall mounted taps, and how to know which one to go for. Our mornings are filled with the uncontrollable. Whether that’s the weather, the Monday morning traffic or the broken coffee machine. What we can control however, is our morning shower - now even more so if you decide to go with a digital shower. The days of fiddling around with a temperature dial that only has two options - freezing cold or scorching hot - are over. It’s time for your bathroom to go digital. What if we told you, you don’t need huge amounts of space and a load of fancy furniture to make your bathroom a room to be proud of? Contrary to belief, a bland bathroom can be brought to life with just a few touches - and adding bathroom accessories is one of the best ways to do this. A shower is, of course, a bathroom necessity. Yet so many people think that just because their room is smaller, there are limited options when it comes to choosing the right shower. Well, we are here to tell you that this is not the case. We’ve got the lowdown on the best showers for small bathrooms to help you maximise your space, without compromising on style. Creating your very own spa bathroom is an ideal way to ensure that self-care stays top of your list. While it may not have quite the same effect as an hour-long massage, knowing you have a beautiful room waiting for you at home can do wonders for your mood. From bathtub blowouts to an array of scented candles, here’s our guide to creating your very own spa-inspired bathroom.